The hot days of summer are upon us! As the temperature goes up it becomes increasingly important that we stay hydrated. 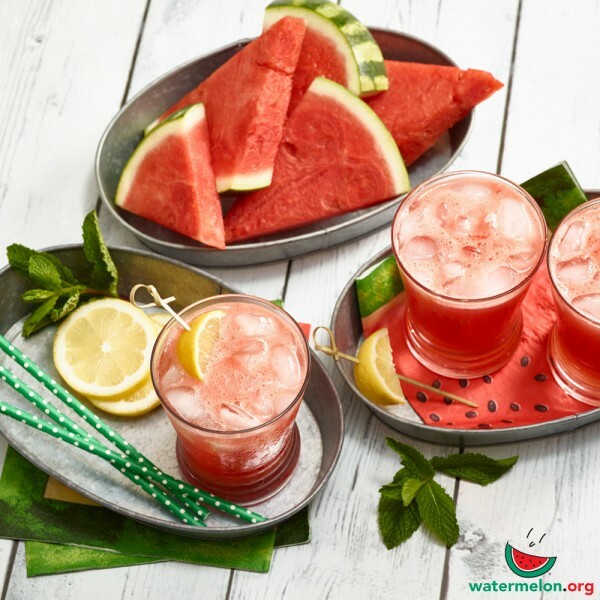 Of course, drinking water is always a good option – but did you know that adding watermelon to your diet can help too? Watermelon is 92% water! This makes it an excellent hydrator. 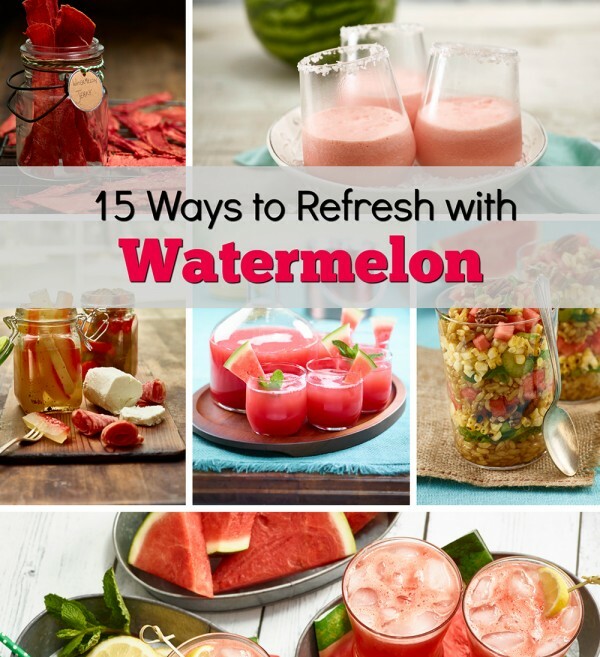 So instead of reaching for fizzy sweet drinks, try eating or drinking one of these refreshing watermelon recipes. 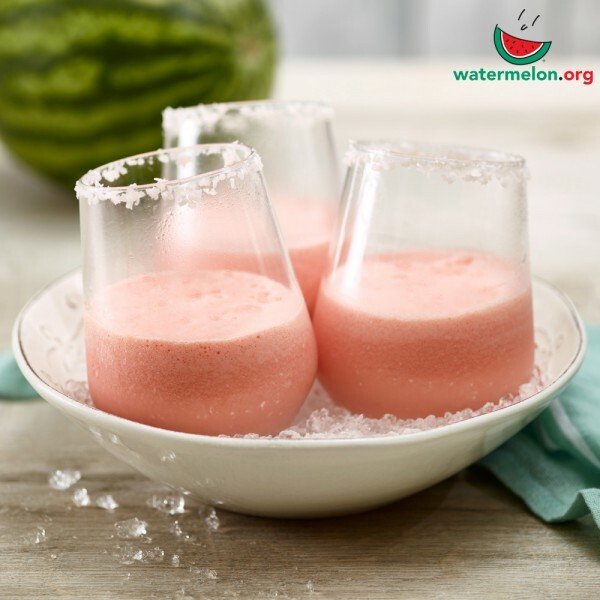 This creamy watermelon drink, made with coconut milk, will have you dreaming of the beach! 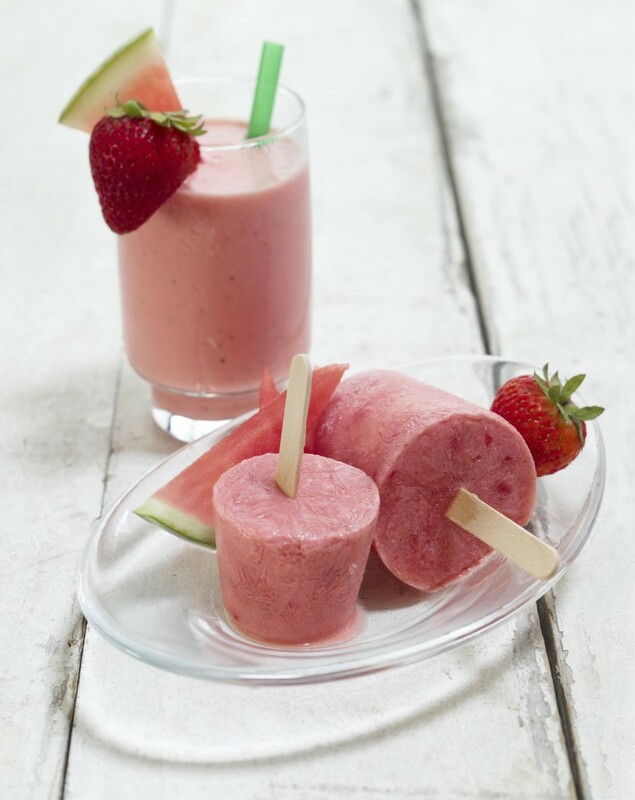 This watermelon strawberry shake can be served as-is, or frozen on a popsicle stick. It’s delicious either way! 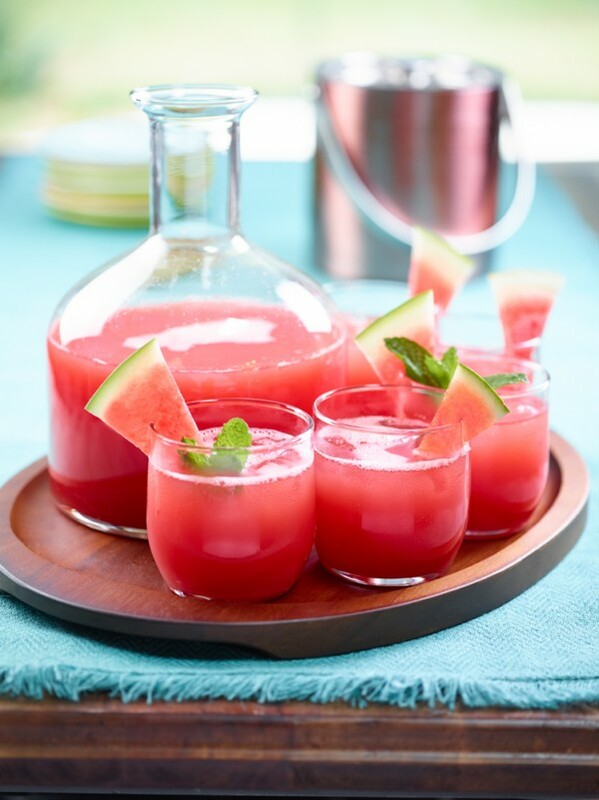 Making your own watermelon juice is so easy, you’ll wonder why you haven’t done it before! 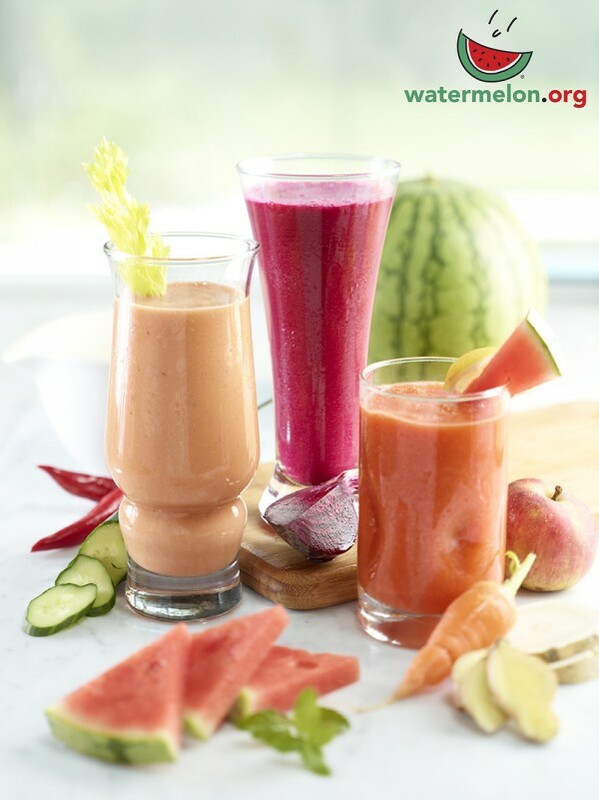 All you need is a blender to make this tasty beverage. Lemon and fresh ginger adds zing to this carrot and watermelon zapper. Try drinking it in the morning – it will really wake you up! 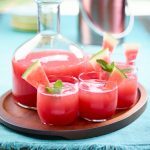 Kick back with these strawberry watermelon mojitos that will hit the spot without being too sweet. 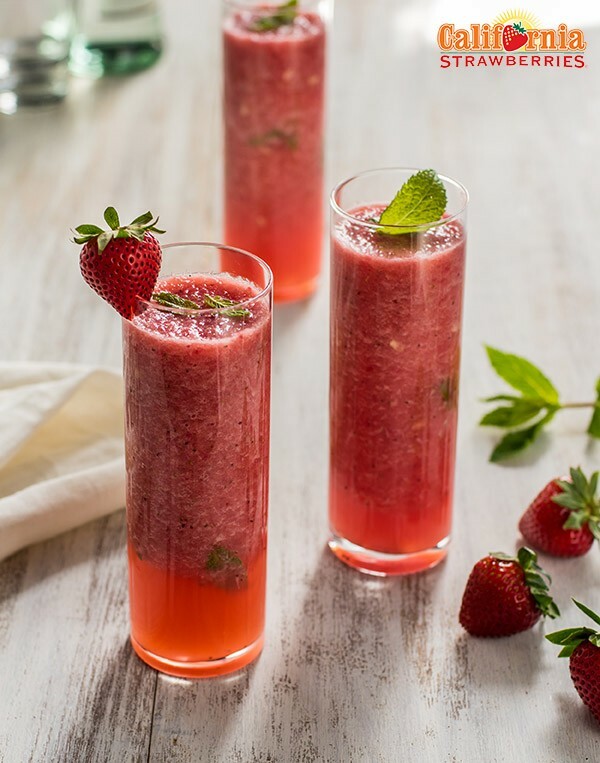 The sweetness of fresh strawberries and watermelon are balanced by tangy lime juice and lots of fresh mint. Here’s a tasty snack that kids will love! 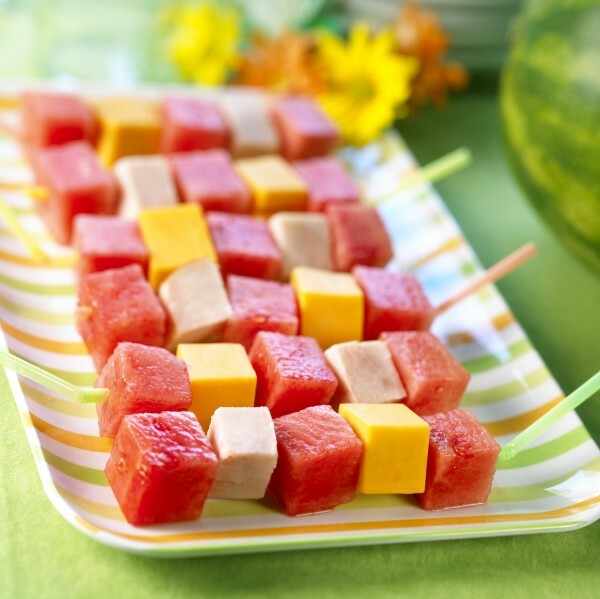 These watermelon kebobs with turkey breast and cheese are colourful and easy to put together. 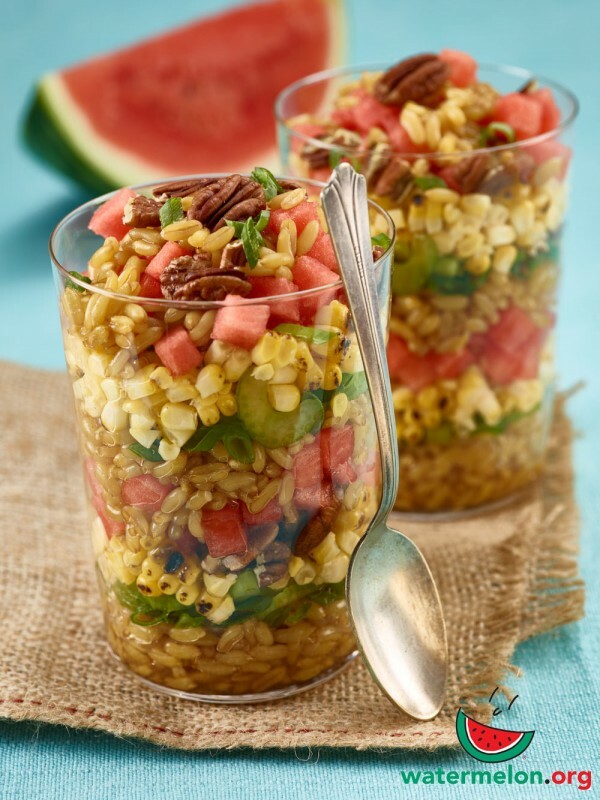 A healthy and refreshing twist on a classic dessert! 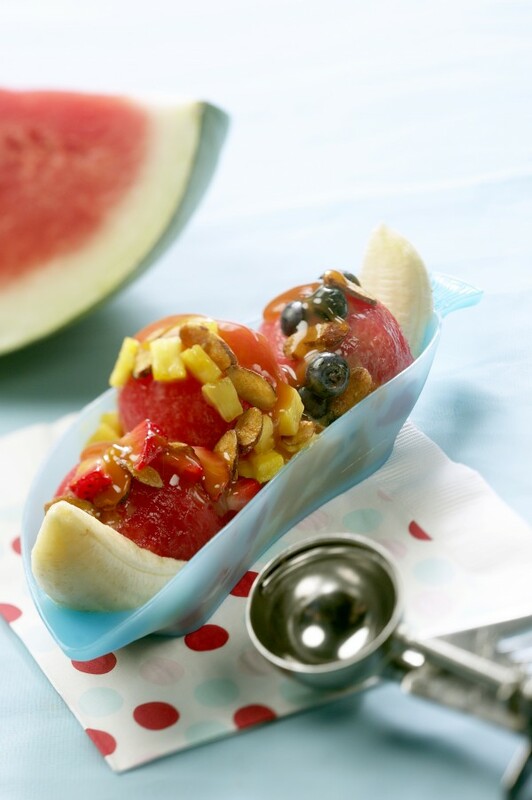 Watermelon Banana Splits are a healthier summer snack that’s hydrating and tasty too! 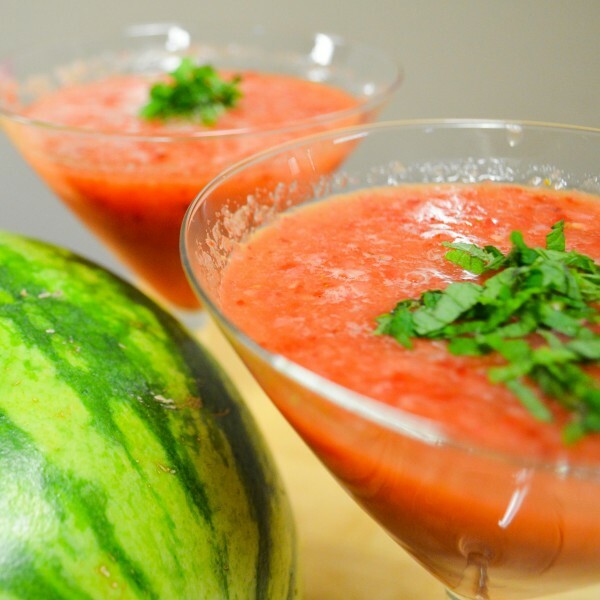 Blending watermelon and strawberries with vodka and Grand Marnier makes one delicious cocktail! You’ll want to sip on this Watermelon Strawberry Frozen Cosmo all summer long. 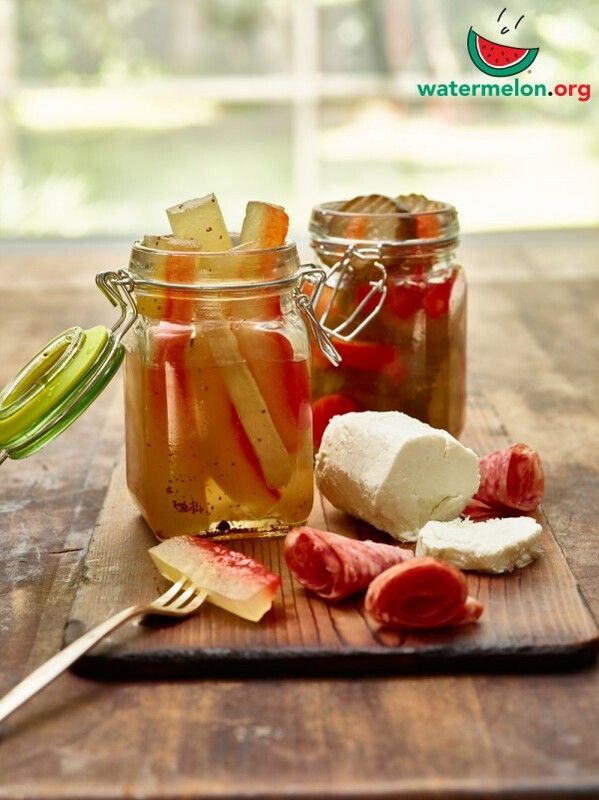 You can reduce waste by making these Watermelon Rind Pickles instead of throwing out the rind. 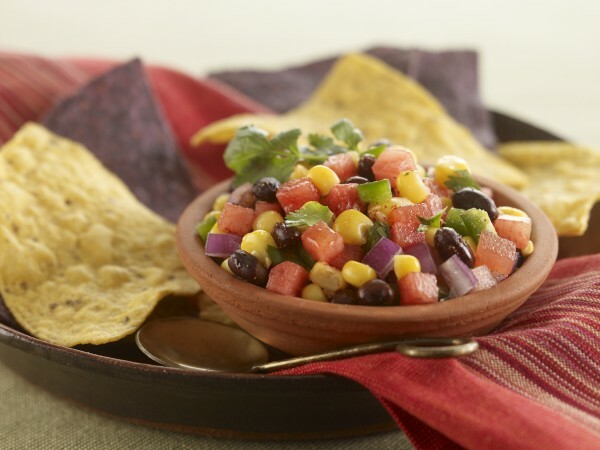 Watermelon is a great substitution for tomatoes in all kinds of recipes, including this Watermelon Salsa. 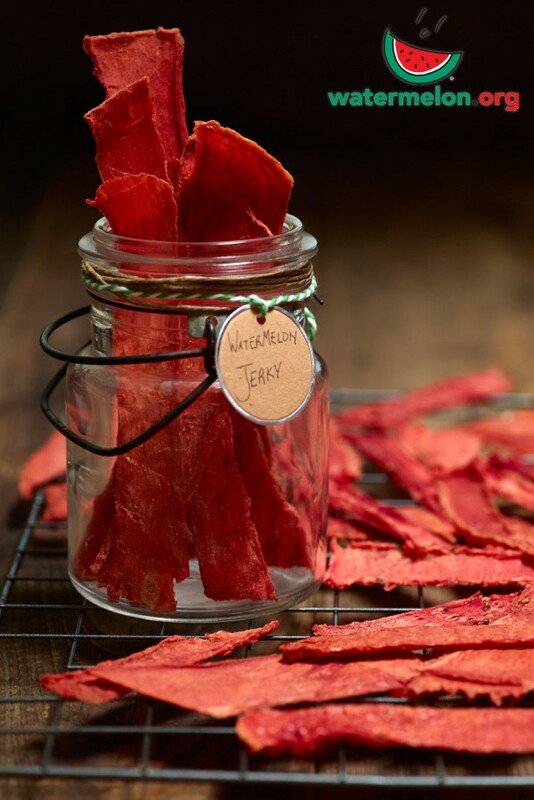 Enjoy it with tortilla chips or as a fresh side dish. Agua frescas (water refreshments) are popular in Mexico, Central America and the Caribbean. 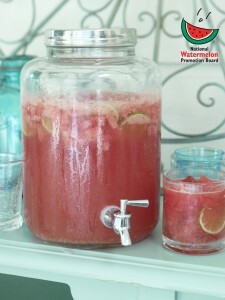 This watermelon agua fresca is made from fruit stirred together with sugar and water to make a non-alcoholic beverage. 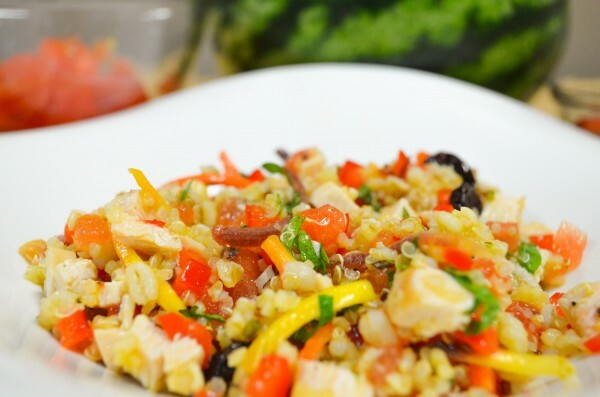 This colourful watermelon salad gets a protein punch from chicken and quinoa. 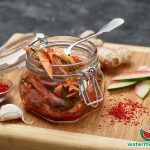 It’s fresh, healthy and will keep you full for hours!